From cowboys to can-can girls, madams to ministers, craven opportunists to pious emissaries of civilization, Crook County was built and settled by colorful characters. Now, for the first time, modern-day folks can chat with a few of these historical figures — no time machine required. 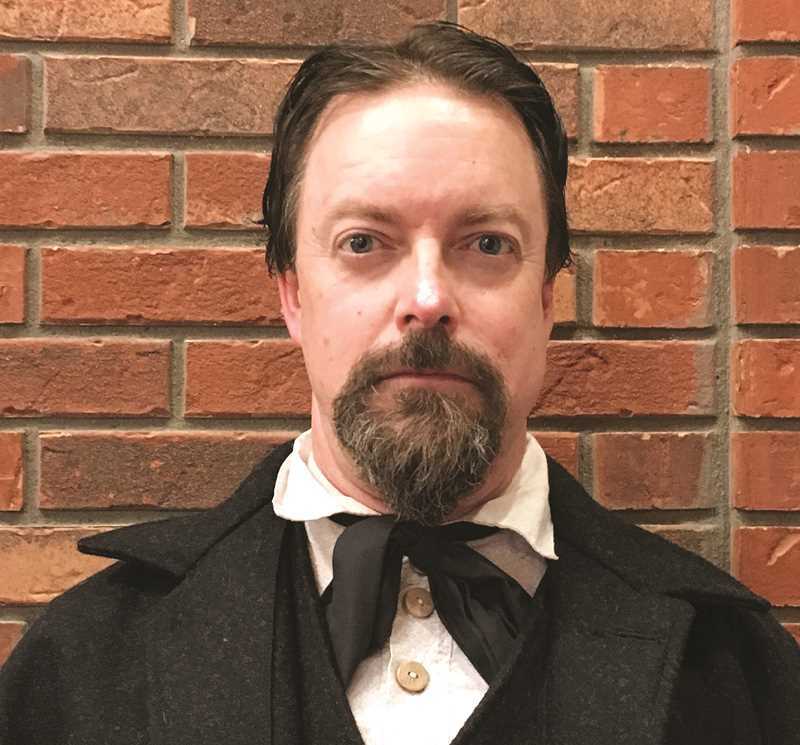 A partnership between the Bowman Museum and the Crook County Library, People of Our Past will bring a historical re-enactor to the museum's community room every Tuesday beginning Feb. 5. Doors open at noon, and the presentations run 12:15 to 1 p.m. Participants are encouraged to bring a lunch and learn about a figure from Crook County's distant past. February's programs will feature an appearance by eponymous city founder Barney Prine, as played by Sisters-based re-enactor Matt Cleman. The idea for People of Our Past came out of a successful event held at the Bowman Museum during the Library's 2018 Summer Reading Program. Titled Night at the Museum, that program featured multiple re-enactors and storytellers, some drawn from Prineville's Ochoco Players theater troupe. Night at the Museum drew a crowd of about 80 attendees of all ages and represented a new kind of collaboration between the library and the museum — one that both organizations were eager to continue and build upon. "We were already having a lot of success with the Saunders Lecture Series and May at the Museum programs, which are co-sponsored by the Friends of the Crook County Library," said Assistant Director of Library Services Jane Scheppke. "We were interested in trying out something creative and collaborative that would appeal to all ages and take advantage of local talent. Our first attempt went so well that we had to keep that momentum going." The library and museum plan to continue People of Our Past through the month of May. Future programs will see appearances by early homesteader Alice Day Pratt and vaudevillian/philanthropist Kitty "Klondike Kate" Rockwell. Scheppke said Cleman will portray Barney Prine each Tuesday in February. Alice Day Pratt will appear in March, but the actor is still to be determined. The series is primarily being funded by the museum, and the Friends of the Crook County Library are funding the advertising. "It has been my experience that living history presentations are one of the most effective ways to engage visitors," said Bowman Museum Director Sandy Cohen. "It is our goal to both educate and entertain, and this approach affords us the opportunity to do both. It's especially great that Prineville has such a rich history of characters to choose from. We're excited!" Place: Bowman Museum Community Room, 246 N. Main St.
For more information about this series of free programs, contact Adult Services Librarian Amber Smith at 541-447-7978 ext. 315, or Museum Director Sandy Cohen at 541-447-3715.